WASHINGTON, DC, April 20, 2012 (ENS) – Today marks the second anniversary of the blowout of BP’s Deepwater Horizon oil rig in the Gulf of Mexico that claimed the lives of 11 workers and unleashed the largest accidental marine oil spill in the history of the petroleum industry. At the time of the explosion, BP was using the Deepwater Horizon to drill an exploratory well at a water depth of approximately 5,000 feet in the Macondo Prospect, located about 41 miles off the Louisiana coast. At 9:45 pm local time, on April 20, 2010, methane gas from the well 18,000 feet below the sea floor expanded into the drilling riser and caught fire. Flames engulfed the drilling rig, which burned for 36 hours before sinking. The well ruptured, releasing about 4.9 million barrels of oil into the Gulf over a three month period before it was capped on July 19. The well was finally sealed on September 19, 2010. By April 30, 2010, the oil had spread to cover 3,850 square miles (10,000 square km) and U.S. authorities closed a large part of the Gulf to fishing. Coastlines were contaminated in five states: Louisiana, Mississippi, Alabama, Florida and Texas. In October 2011, a report by the National Oceanic and Atmospheric Administration found that dolphins and whales were dying at twice the normal rate. In March, a NOAA study found that bottlenose dolphins in Barataria Bay, Louisiana are sick after coming in contact with oily waters from the BP spill. Earlier this month, scientists reported finding large numbers of mutated crab, shrimp and fish they believe to be the result of chemicals released during the oil spill and cleanup. Tar balls continue to wash up along the Gulf coast two years after the spill began. Studies show the tar contains the deadly bacteria Vibrio vulnificus. Fishing and tourism businesses across the Gulf were harmed and first responders as well as residents experienced health effects of petroleum exposure such as dizziness, vomiting, nausea, headaches, and chest pains. On June 16, 2010, after meeting with President Barack Obama, BP executives agreed to create a $20 billion spill response fund. 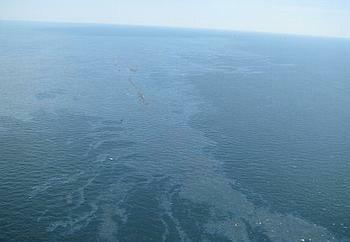 To date, roughly 100,000 claims have been filed by individuals and businesses affected by the oil spill. On Wednesday, BP announced that it has reached “definitive and fully documented agreements” with the Plaintiffs’ Steering Committee to resolve the “substantial majority” of eligible private economic loss and medical claims stemming from the Deepwater Horizon accident and oil spill. The parties have filed for preliminary court approval of two settlement agreements, one resolving economic loss and property damage claims and the other resolving medical claims. 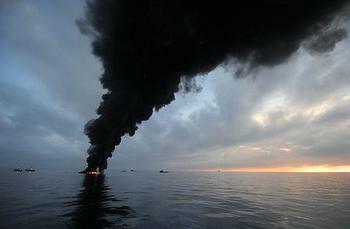 Prior to the settlement, BP had spent more than $22 billion toward meeting its commitments in the Gulf. 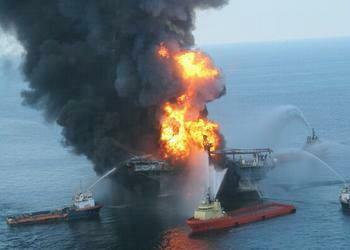 BP has paid out more than $8.1 billion to individuals, businesses and government entities. In addition, Dudley says, BP has spent approximately $14 billion on its operational response. Several investigations into the incident have been held by: the U.S. Coast Guard and the Minerals Management Service; the National Academy of Engineering; by the Justice Department, by the House Committee on Energy and Commerce and by BP itself. They concluded that many technical mistakes and errors of judgment were made by employees of BP; of Haliburton, which cemented in the well; of Transocean, which leased the rig to BP; and by Cameron International, which built the rig’s blowout preventer, a fail-safe stack of valves at the base of the well, which had a hydraulic leak and a failed battery, and therefore failed to prevent the blowout. In addition, President Barack Obama established the National Commission on the BP Deepwater Horizon Oil Spill and Offshore Drilling to identify the root causes of the incident and make recommendations to restore the Gulf and to prevent similar incidents in the future. In its report, the Commission found that BP had not sacrificed safety in favor of making money, but that some decisions had increased risks on the rig. This week, the Commission members, volunteering their time, issued a followup report on progress made in fulfilling its recommendations. BP has settled with private parties on their claims but, as Oil Spill Commission Action released its assessment on April 17, settlement negotiations with government were still unresolved. A key Commission recommendation was to dedicate 80 percent of all assessed Clean Water Act penalties to the long-term restoration of the Gulf of Mexico ecosystem. The Commission suggested that such a dedication could result either from Congressional action or a court settlement of claims against the responsible parties. 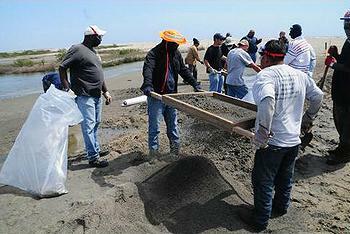 Gulf Coast restoration advocacy groups finally had something to applaud Wednesday as the House of Representatives included the RESTORE Act as it passed the Surface Transportation Extension Act. Both the House and Senate have now passed versions of the RESTORE Act, which would dedicate 80 percent of the Clean Water Act fines from BP and the other parties responsible for the Gulf oil spill to restoring the Gulf Coast.